Mum of Five Staying Sane: Just released. 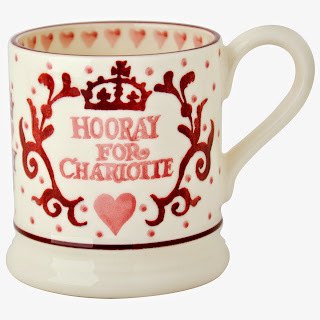 The Emma Bridgewater commemorative Royal Baby 'Hooray for Charlotte' special edition half pint mug 2015 to celebrate the birth of Princess Charlotte Elizabeth Diana. Just released. 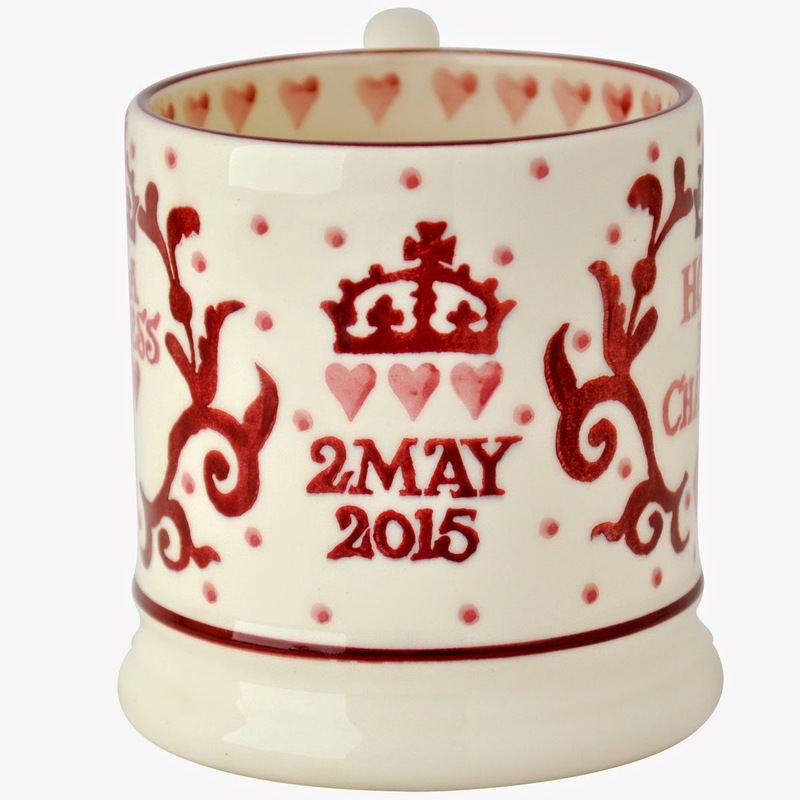 The Emma Bridgewater commemorative Royal Baby 'Hooray for Charlotte' special edition half pint mug 2015 to celebrate the birth of Princess Charlotte Elizabeth Diana. 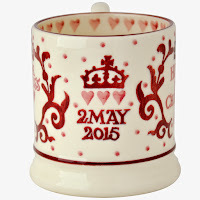 Just released on the Emma Bridgewater website and available for pre order with despatch expected from by May 11th 2015. 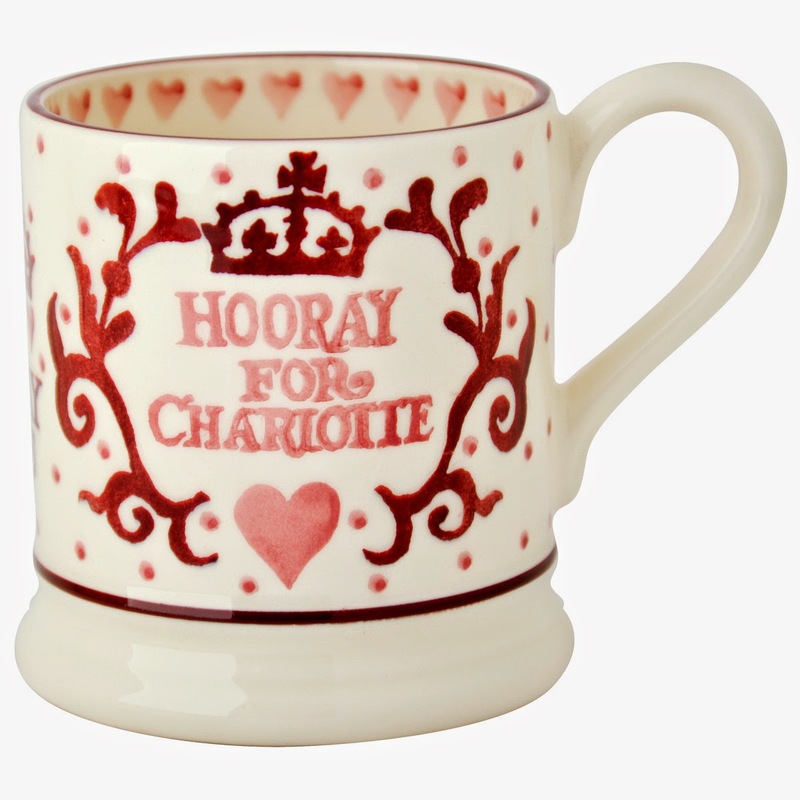 The new 'Hooray for Charlotte' 2015 mug released in celebration of the recent birth of the new Royal baby, Princess Charlotte Elizabeth Diana. A half pint mug with Hooray for Charlotte written on it, with the date and It's a Princess written on it also. 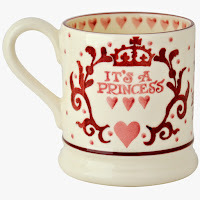 A 9cm high, 8.5cm diameter earthenware mug produced in the Emma Bridgewater factory in Stoke-on-Trent. 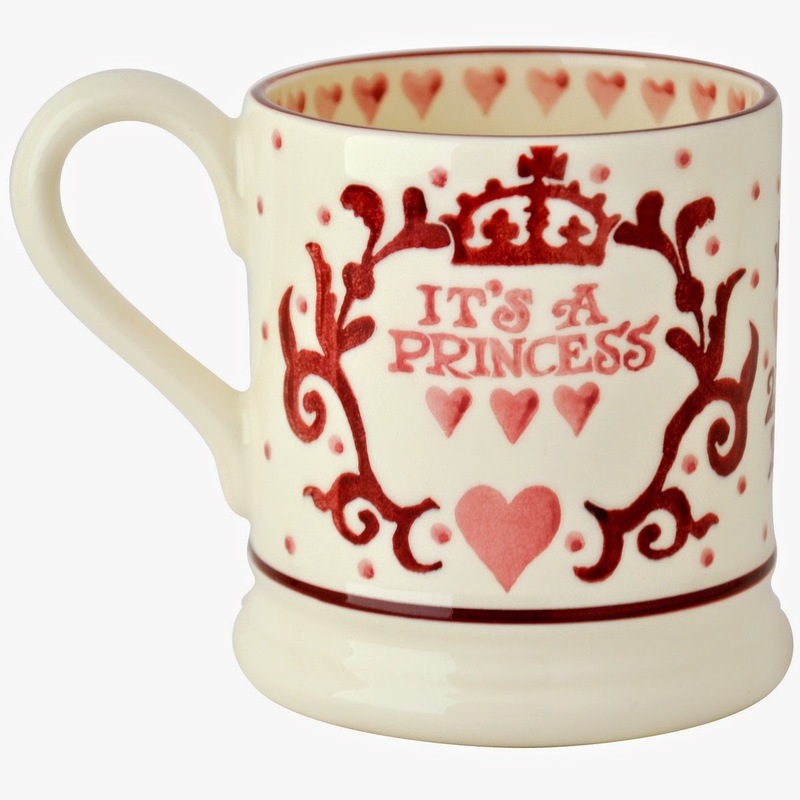 Priced at £19.95 on the Emma Bridgewater website.